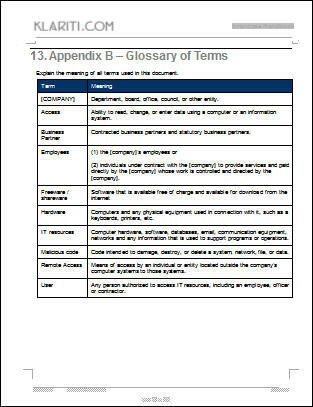 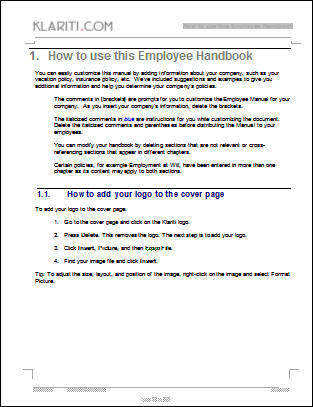 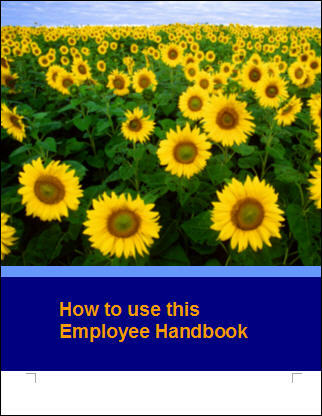 This Employee Handbook template includes 140 topics in MS Word format, which can be easily modified to meet your organization’s needs. 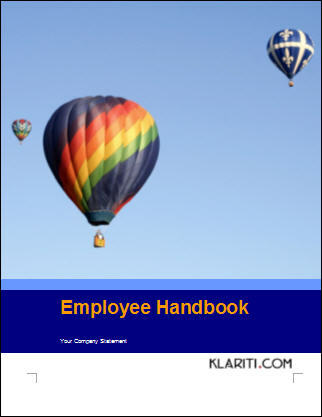 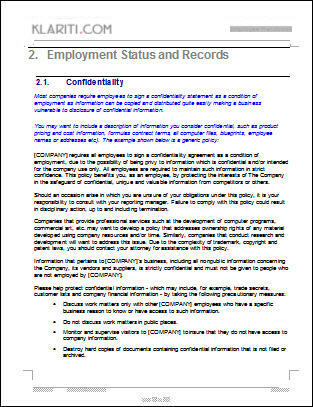 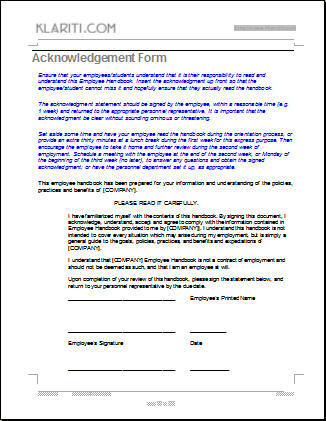 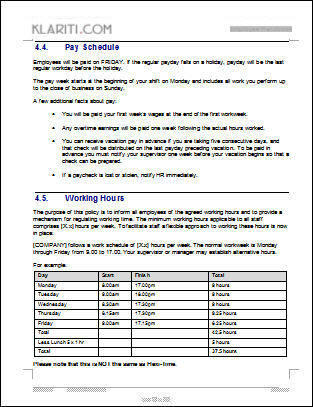 The template includes 100 pages of sample material, including sections on Employment Status and Records, Employee Benefit Programs, Timekeeping, Payroll, Anti Discrimination, Harassment, Work Conditions, Leave of Absence, Employee Conduct, Disciplinary Actions, IT Policies, and Health and Safety. 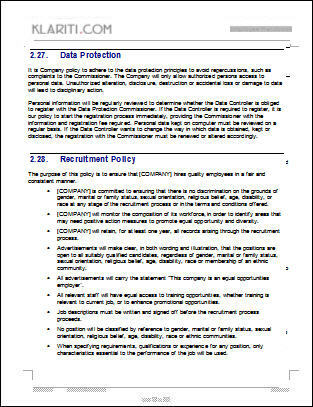 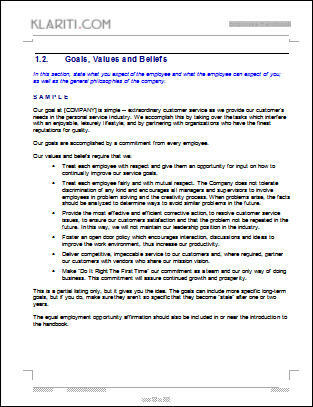 Here are sample screenshots from the Employee Manual template, including some from the Employee Conduct, Disciplinary Actions, and IT Policies.